If you went to work at Carvel at 2pm this game looked good — Yanks with the 2-0 lead over the White Sox after 3 innings; Masahiro Tanaka cruising; Luke Voit and then Aaron Judge having driven in runs with a double and single respectively. But the day, which started off 70 degrees with sun, but turned grey — took a turn for the worse in the 4th. 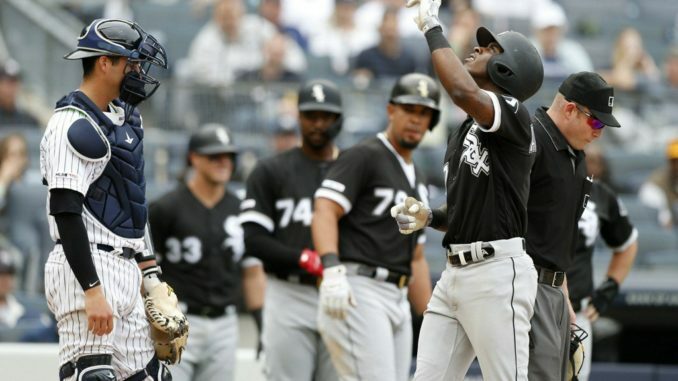 A single by 3rd baseman Yoan Moncada (but he was thrown out at second), a double by DH Jose Abreu, a walk to 1st baseman Yonder Alonso, a walk to left fielder Eloy Jimenez, and then a Grand Slam homerun by shortstop Tim Anderson put the ChiSox ahead 4-2. John Sterling commented in the 5th that Tanaka was still pitching pretty well despite the grand slam. A leadoff double by Sanchez, a single by Garcia, a walk to Moncada loaded the bases again. In came Luis Cessa, who allowed a LONG fly ball that was caught OVER the wall by the leaping Aaron Judge — it was a sac fly for a 5-2 lead. Then Cessa got out of the inning with a strikeout, walk, and groundout. Cessa got another out in the 6th before yielding to Tommy Kahnle. Kahnle (2/3 of an inning), Adam Ottavino (pitched the 7th), Joe Harvey (pitched the 8th), and Chad Green (pitched the 9th) shut out the White Sox the rest of the way. On the other hill, Lefty Carlos Rodon pitched 6 innings, only allowing those 2 early runs. Then the White Sox ballpen shut the Yankees out — Jace Fry, Nate Jones, Kelvin Herrera and Alex Colome. Ballgame. 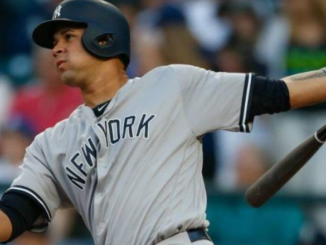 Yankees got 4 hits — the whole game. Judge, Voit, Gleyber Torres, and Gio Ushela (batting .313). 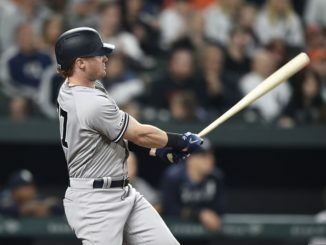 DJ LeMahieu batted leadoff for the first time as a Yankee but went hitless; Clint Frazier, Brett Gardner, Kyle Higashioka, and Mike Tauchman all went hitless (although Tauchman walked and scored a run). Most boring loss of the year. 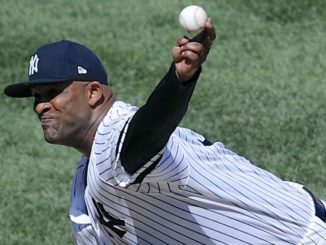 That’s what good pitching will do to you — plus the fact that the Yankees still have SO MANY good hitters on the Disabled List: Gary Sanchez, Miguel Andujar, Giancarlo Stanton, Aaron Hicks, Troy Tulowitzki, and Didi Gregorius, as well as pitchers Luis Severino and Jordan Montgomery.